My mailing list, blog and Facebook page are the best ways to keep in touch with news and giveaways with my books (Twitter is meh - so I'm probably not going to keep that fresh any longer!) I just sent an update to my mailing list, so don't miss out on the next update and subscribe today! Andy has some good, romantic lines in Plebeian Revealed. He's using everything he's got to win his former high-school crush, but then he makes an epic mistake. Can his smooth lines and romantic gestures win her back? 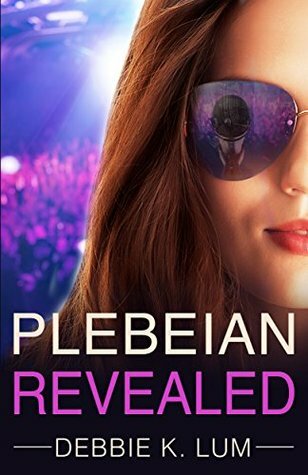 Find out more about Andy and Plebeian Revealed here. Do You Ever Get Flowers? When Lauren and Andy first spend time alone together in PLEBEIAN REVEALED, they talk about their pasts and their loves when Lauren makes a very revealing statement about her current marriage. She just wants to know what it feels like to get flowers from a man. And later in the book, she does get flowers from a man - a man who she loves. Question is: who is that man? Happy Valentine's Day! In #PlebeianInDanger, sudden fame hasn’t gone so well for Lauren Hayden and she thought her stage fears would be her biggest challenge on her band Plebeian’s rescheduled world tour. But with their new guitarist seriously injured, their producer’s dead body found in a canyon and a shocking discovery in her husband’s bed, Lauren’s now got bigger problems. Plebeian’s world tour is unraveling; and it’s all according to plan. By the time the band discovers the enemy within; Lauren has fallen into his trap. Suddenly her husband’s life is at risk and the world tour is in jeopardy. Lauren must face the killer to stop this, and resist his love. Wrap up a copy of Plebeian In Danger for your dangerous friend. Or yourself.